Much has been written about the Western Migration to settle this country. The travel was long and extremely difficult. The hazards that faced the pioneers were immense. Children grew up fast when faced by the reality of their harsh environment. Retreating to their few belongings gave them comfort. 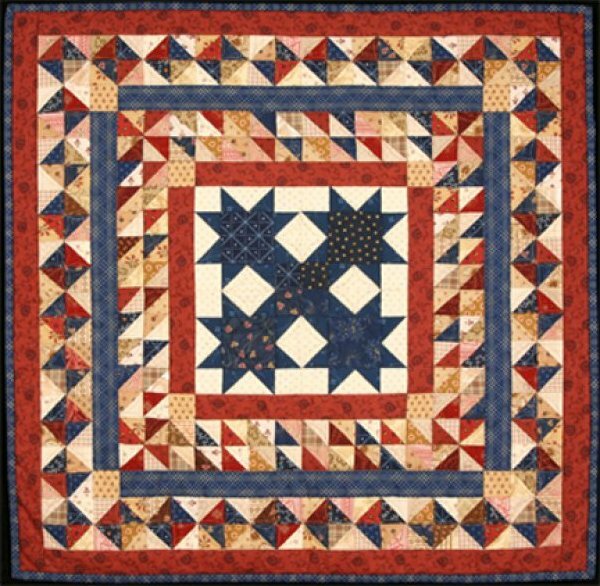 The Cross Plains Star quilt is an example of what a little girl would have cherished most...her very special doll quilt.